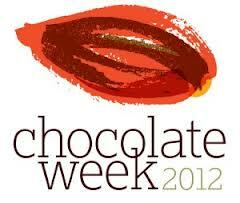 Did you know it's officially Chocolate Week this week? Well in the UK it is but I thought we might get in on a little of the action by having a look at some delicious chocolate products that will give you your sugar hit without doing any damage to your hips. Therapy Massage Bar: This 100% organic massage bar is made with cocoa butter and shea butter to glide across the skin giving moisture and suppleness a boost. Cupcake Face Mask: Derived from the cocoa bean, Cupcake contains deep cleansing Rhassoul mud to absorb excess oils on the skin, Fair Trade cocoa butter to soften and spearmint and peppermint oils to gently stimulate. Soft Coeur Massage Bar: This Lush Best Seller is made from fair trade, organic cocoa butter and shea butter, once melted the molten chocolate centre is released. Chocolatey bliss. 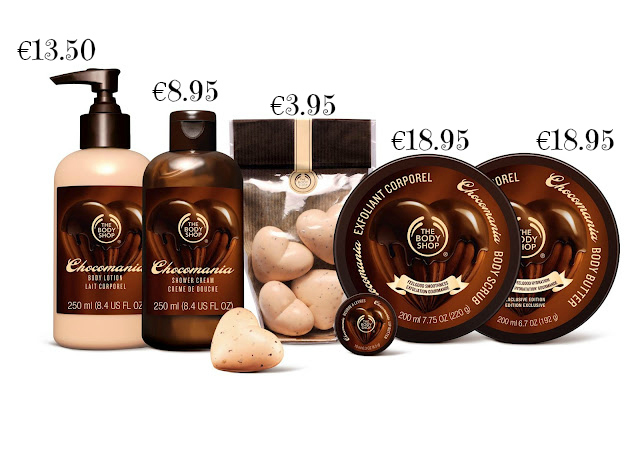 I couldn't let a chocolate post go without mentioning the masters at chocolate beauty products, The BodyShop. You'll see my review here but if chocolate is your thing then you've got to get to your nearest store to smell these divine offerings. We're currently on our second lot here at Casa Cherry such is the grá for the brown stuff. Cocoa Shower Mousse: uses shea butter and apricot oil to soften and enrich your skin. Vitamin E and evening primrose oils and cocoa powder keep your skin healthy and supple. Chocolate Heaven Bath Bomb: promises a 'sensuous chocolate fragrance' with a sprinkling of gold mica to illuminate your skin. Goat's milk powder softens, exfoliates and cleanses your skin as you luxuriate in a bath of this chocolatey goodness. Pixy Chocolate Lip Balm: You'll see my review of this beauty here. Made with cocoa butter, shea butter, beeswax and almond oil, once warmed on your lips, this silky soft balm gives you a chocolate hit like no other product I've tried. Gold mica adds a subtle shimmer to your softened lips (but I've not told the eldest that, tis his punishment for pilfering it on me) If you're cutting down on chocolate or trying to combat cravings, you need one of these tins in your mála. And that's my round up, each product as gorgeous as the last from both ends of the spendy spectrum. Are you a lover of chocolate products? Is there any others I should be checking out?